If you’re prone to lying wide awake in bed and to going through the day in a bleary-eyed fog, this article is for you. Many of us have stints of insomnia from time to time, and for some people it seems to be a never-ending problem. However often you suffer, the resulting lack of sleep ends up interfering in practically every aspect of your life, doesn’t it? That’s why we’d like to recommend an all-natural, all-effective sleep supplement called Performance Lab® Sleep. From UK manufacturer Opti-Nutra, we here at Supplement Reviews UK believe it’s the safest sleep supplement you’ll find on the market today. Before we get into the details, let’s take a quick look at the issue of insomnia and why a natural alternative is better than artificial sleep aids. Tiredness isn’t the only issue we face if we don’t get enough Zzzs. Sleep helps to balance hormone levels, lower blood pressure, restore our immune system and cleanse toxins from the brain. Being without it on a regular basis can cause memory problems, depression, anxiety, heart disease, a higher cancer risk and Alzheimer’s-related build-up in the brain. Yes, it can have far-reaching consequences. How do you know you’re not getting enough sleep? In some situations, it’s self-evident: you struggle to fall asleep. But, according to the National Sleep Foundation, that isn’t the only form of insomnia. If you struggle to fall back asleep after waking up early, wake up throughout the night, or even wake up feeling unrefreshed, you could be suffering too. Simply put, if you need a cup of coffee to get you going and feel awake in the morning, chances are you didn’t get enough sleep. Most adults need between seven and nine hours’ effective sleep a night. Some people do naturally need more, and others less for biological reasons, but statistically that’s unlikely to be you. Don’t fool yourself into thinking you can get by with less sleep, either. Granted, after a few days or weeks, existing on five or six hours’ sleep a night may feel like the ‘new normal’, but don’t assume your body has adjusted. Instead, tests show that people operating with such little sleep perform in an impaired state and probably don’t even realise it. Catching up on sleep at the weekend doesn’t really help much, either. If you want to learn how much sleep your body actually needs, Matthew Walker, neuroscience and psychology professor at UC Berkeley, recommends falling asleep when you are tired and waking up naturally without an alarm. Do that for a week and it should give you some clue as to what your natural requirement is. Of course, that’s easy to say but not so easy to do for most of us, especially if you have young children who wake you up early or at all hours of the night. Ditto if you have to get up early for work in the morning. Here’s the problem with taking sleeping pills. Sleep experts have examined the brainwaves of people who have taken synthetic sleeping pills like Ambien and determined that it isn’t the same as having a natural sleep. Professor Walker, author of Why We Sleep: Unlocking the Power of Sleep and Dreams, says in his book that people who take sleeping pills aren’t awake, but neither are they actually sleeping. They are, in fact, just sedated. There are also some concerns that sleeping pill-induced rest could actually be harmful to the brain, weakening cell connections associated with memory and learning, causing damage over time. As the NHS warns, many traditional sleeping pills also have potential for addiction and can leave you drowsy the next day. Which is why GPs rarely prescribe them nowadays. Plus, stop taking them and you typically end up right back where you started – sleepless and frustrated. So, what are your options if you want a SAFE and NATURAL night’s sleep? And one that doesn’t come with a subsequent crash? We recommend Performance Lab® Sleep for just those reasons. Why Choose Performance Lab® Sleep? Boost your mood and day-time performance as a result of ‘nightly regeneration’ – one reason why people class this as a nootropic supplement as well. And there isn’t a single unnatural substance in it. No artificial ‘sedation’ or addiction-risk, either. This is the ingredient that delivers the all-natural melatonin I talked about above, especially valuable when most other sleep supplements use a synthetic form. Melatonin helps to regulate our sleep and wake cycles, and to induce sleep. Supplementation with tart cherry juice concentrate has been proven to extend sleep duration and sleep quality in healthy adults and may benefit the management of disturbed sleep. The Montmorency Tart Cherry in Performance Lab® Sleep both delivers natural melatonin and buoys the production of the body’s own melatonin as well, created by the pineal gland. 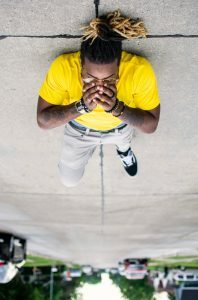 Stress and mood issues such as depression and anxiety can play havoc with our sleep, and L-Tryptophan is Performance Lab® Sleep’s secret weapon in tackling this. L-Tryptophan is converted into 5-HTP, which in turn is converted into serotonin, the ‘feel-good chemical’. Serotonin helps us feel more tranquil, calming the mind ready for sleep. PLUS, BONUS! It also boosts our mood during the day as well. Lack of magnesium is not only implicated in several health-related issues but has also been linked to chronic insomnia and repeat night-time awakening in particular. The 100mg in Performance Lab® Sleep should help to gradually lower blood pressure to encourage sleep, relax the nervous system and soothe muscles, all designed to aid a deeper long-lasting sleep. Lying awake night after night is frustrating, debilitating and impacts your daily life in many different ways. Some we know about (tiredness, headaches, lack of energy, poor performance), others we probably don’t. You may have tried traditional sleeping pills and hated the hungover groggy feeling that they leave you with the next morning or tried to struggle on alone. Now you don’t need to do either. 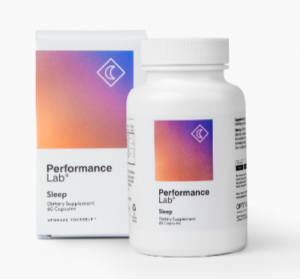 With Performance Lab® Sleep there is a genuine all-natural, safe and effective sleep supplement that works WITH your body to retune your natural circadian rhythms and optimise your sleep and wake cycles. It makes it easier to fall asleep and to stay asleep, and to feel rejuvenated when you wake, finally ready for the day ahead. After an extensive search, we are very happy to name Performance Lab® Sleep our Best Sleep Supplement to Buy in the UK in 2018. Enjoy those Zzzs!